Peleliu looks much better in FSX. The island, like most in the Pacific is built on a seamount (a volcano), with some jungle and edged with coral reefs. Waves actually break offshore over the reefs and not so much on the beaches which is the tricky bit in FSX. 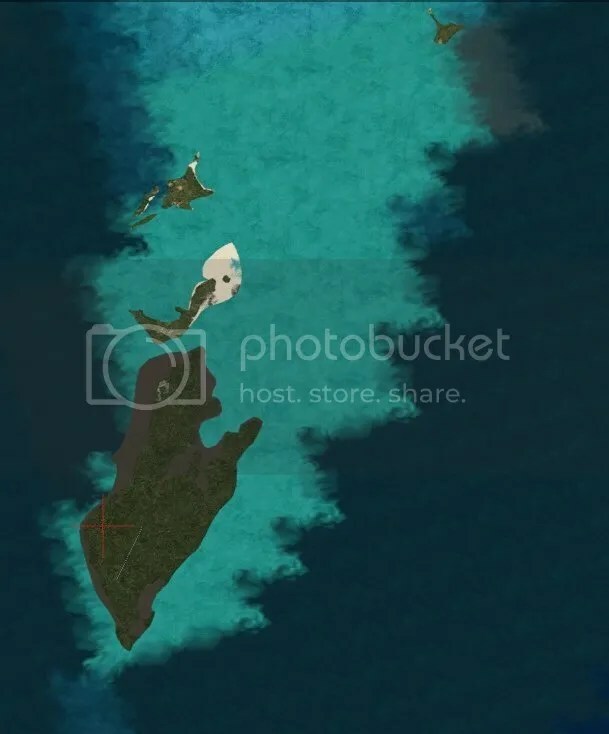 This screenshot shows it from the top, there should be shallow white water with coral to the right (East side). After all these years I have learnt new stuff about the way the sim handles water. The sea surface is generic but tiles placed underneath give the water its colour. FSX documentation is uneven on this, but it claims to cover everything from muddy river deltas to oceanic depths with or without plankton. There are, it’s said, sixty textures to choose from. This entry was posted in Computers and Internet and tagged Coral reef, Microsoft Flight Simulator X, Pacific, Pacific Ocean. Bookmark the permalink. Peleliu looks much better in FSX . The island, like most in the Pacific is built on a seamount (a volcano), with some jungle and edged with coral reefs . Waves actually break offshore over the reefs and not so much on the beaches which is the tricky bit in FSX.